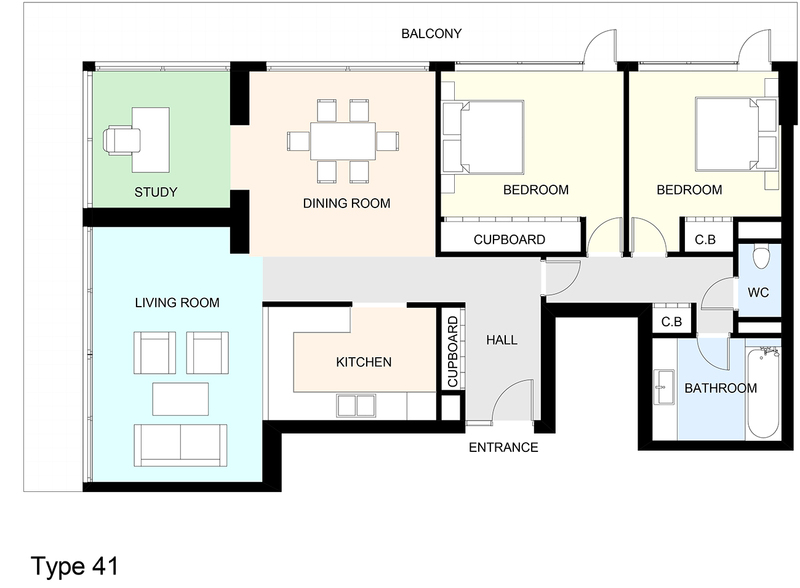 Type 41 is a two-bedroom flat. As a corner flat, the Type 41 has windows on the side and end walls. 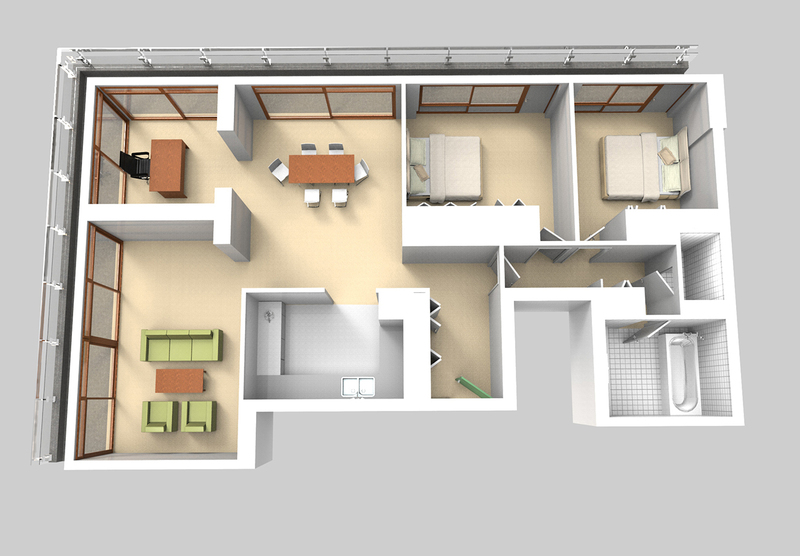 It has two bedrooms, a living room and a study, crowding the side window walls, with a dining area on the return or end wall, giving 5 rooms in all. There is only one Type 41 flat. 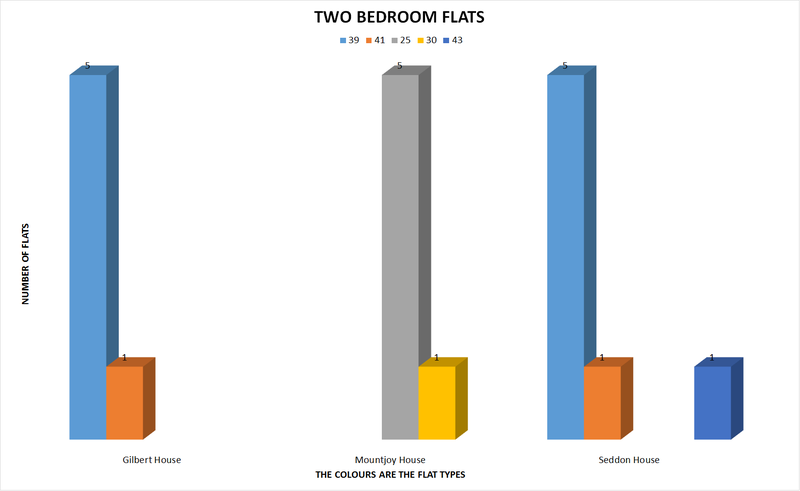 It is the flat on the 2nd floor at the south-west corner of Gilbert and Seddon Houses. 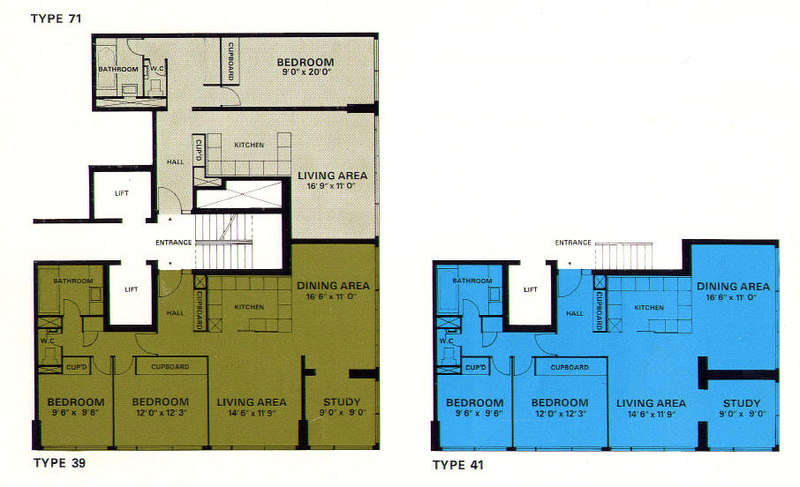 All the other floors have flats which are a seemingly identical Type 39.